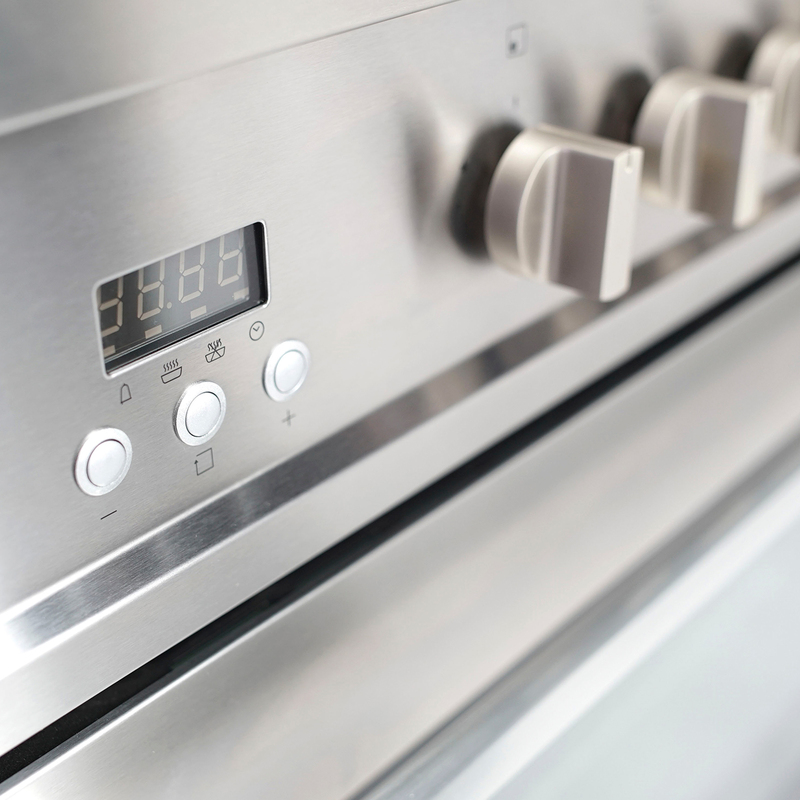 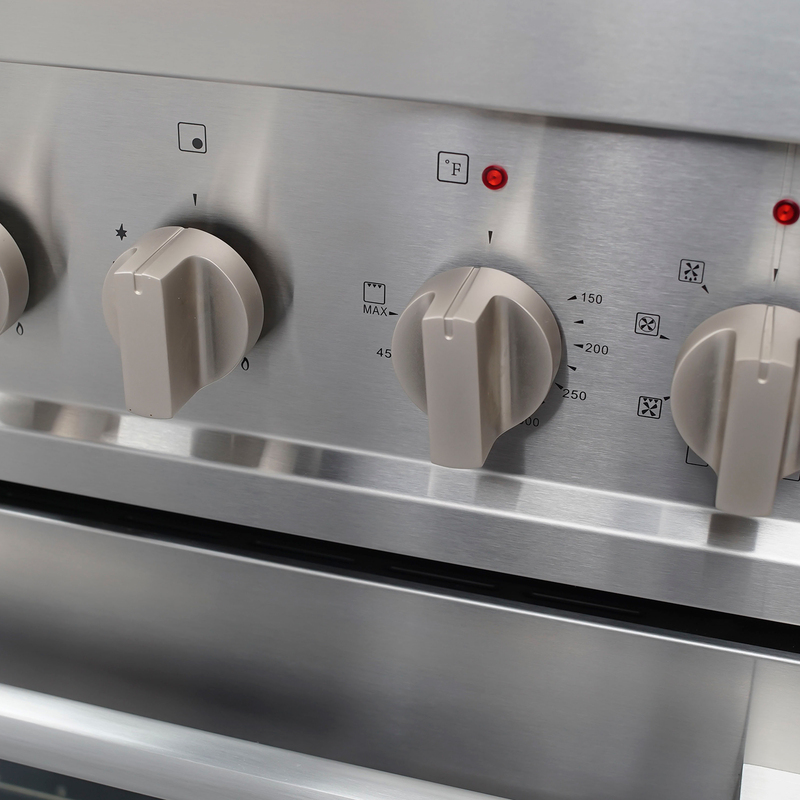 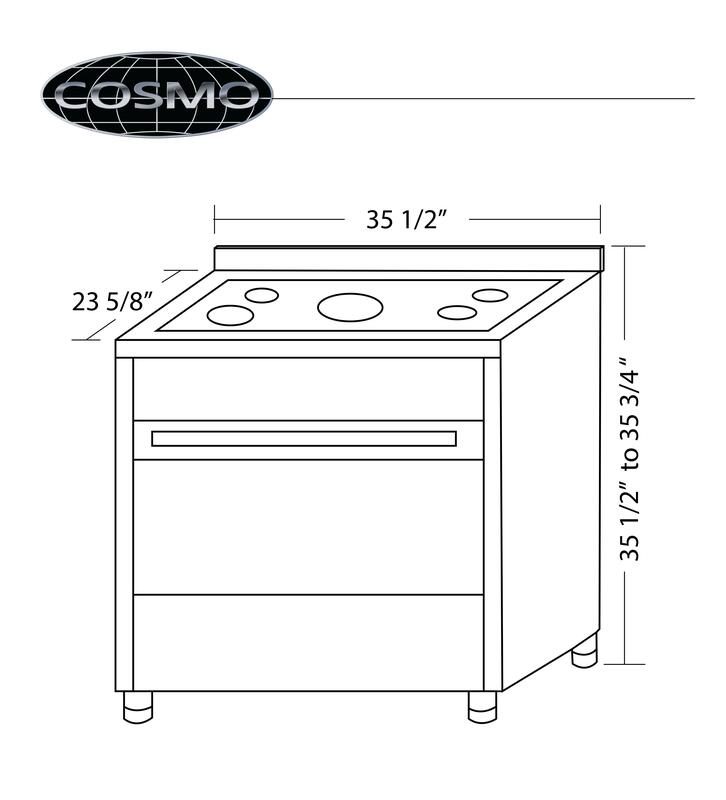 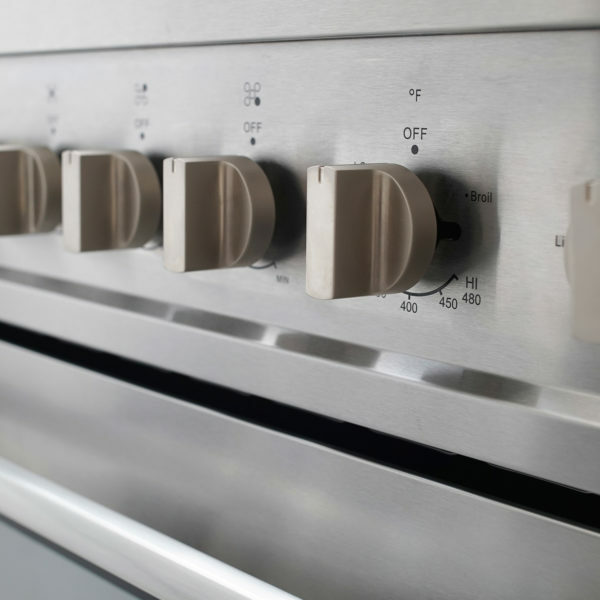 Cosmo Appliances sets a standard for professional style stainless steel ranges by providing the speed and precision of 5 high performance gas burners with the Convenience and Precision of an Electric Convection Oven. 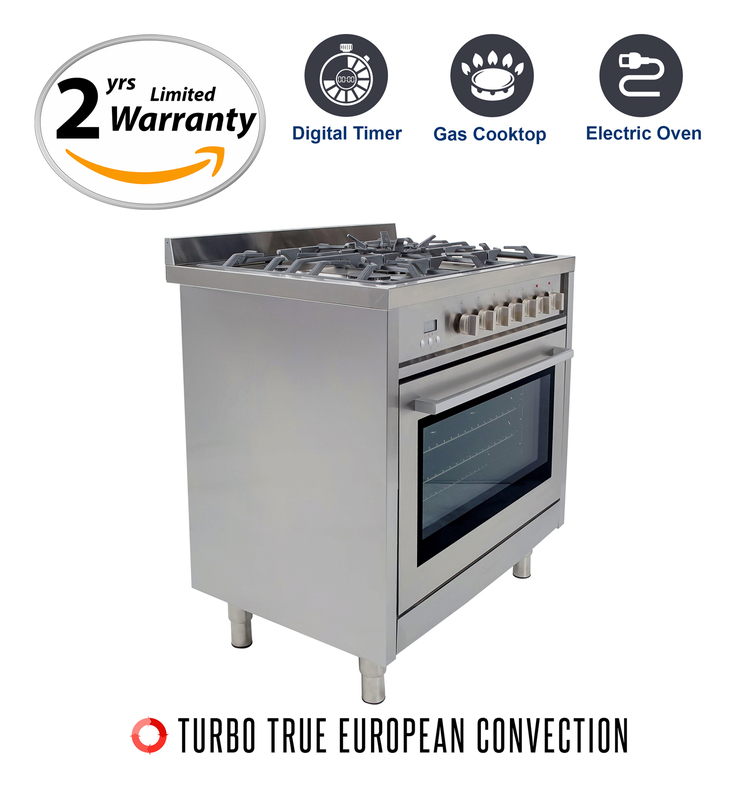 The 8-function 3.8 cubic foot electric convection oven has the space to get it all done and the power to get it done fast with Turbo True European Convection. 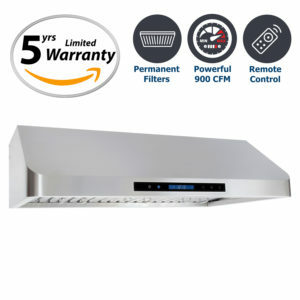 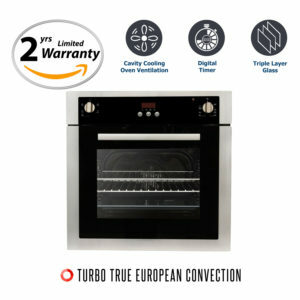 Turbo True European Convection features dual fan assisted heating elements designed to distribute heat evenly around the food, allowing food to cook more evenly in less time and at a lower temperature than in a standard oven. 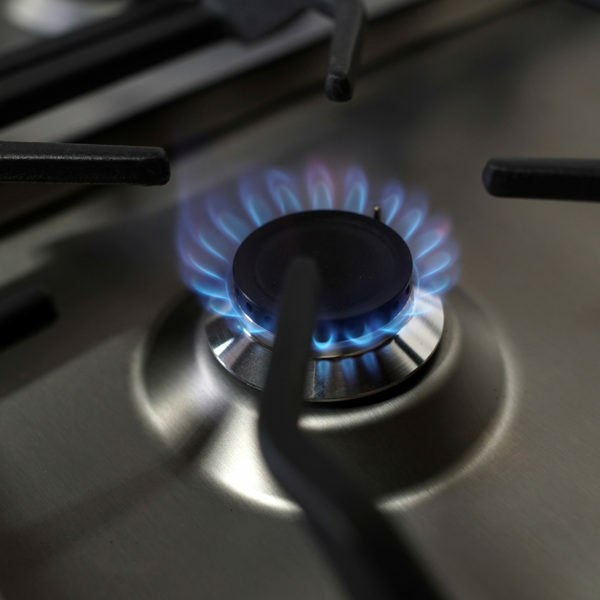 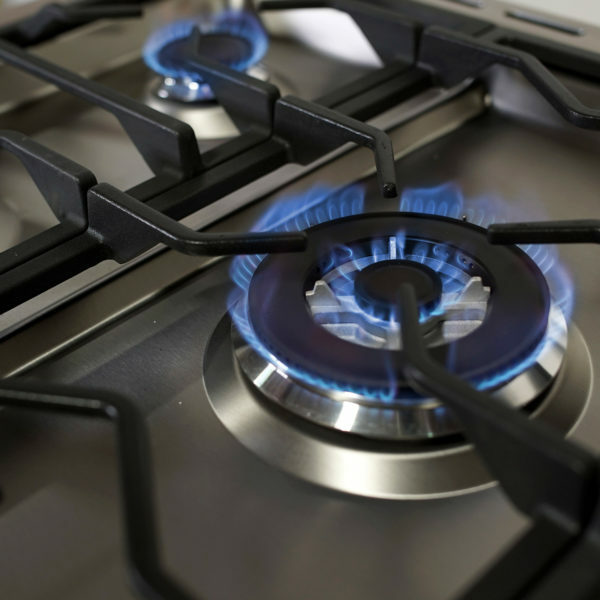 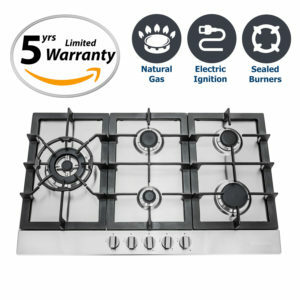 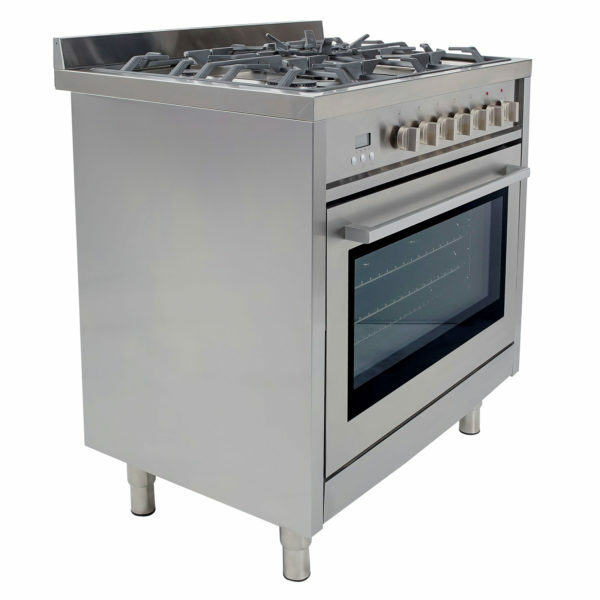 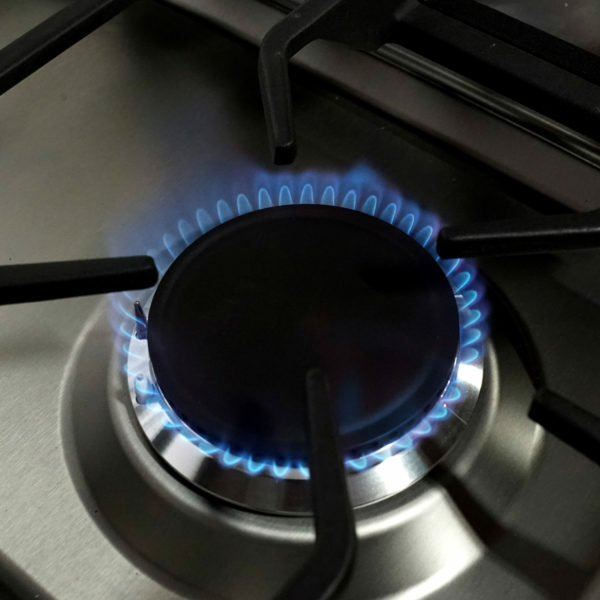 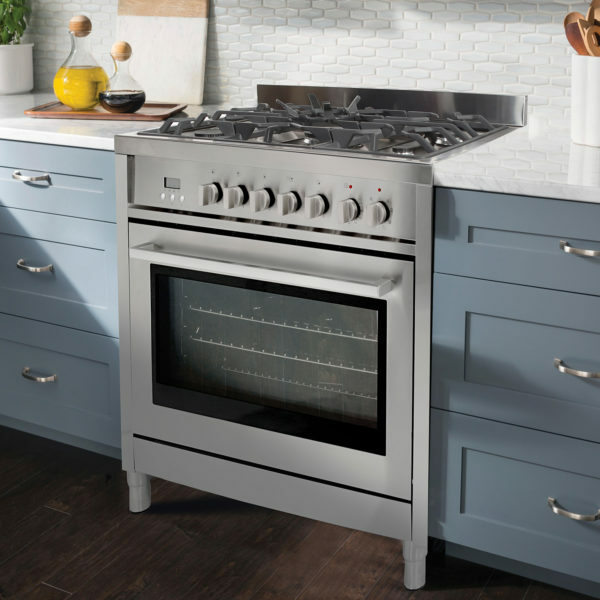 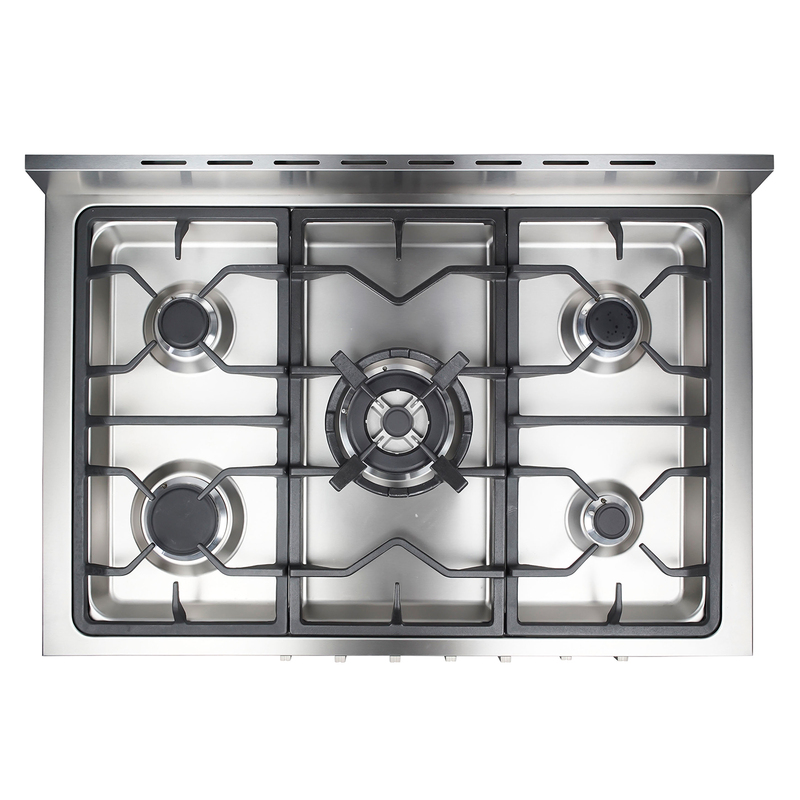 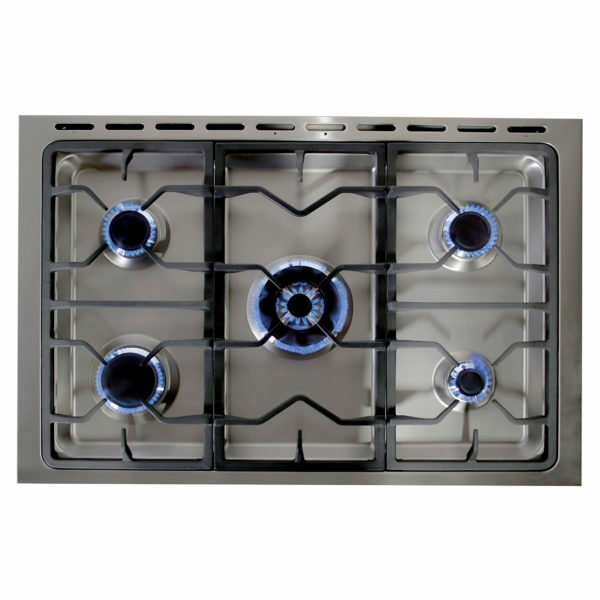 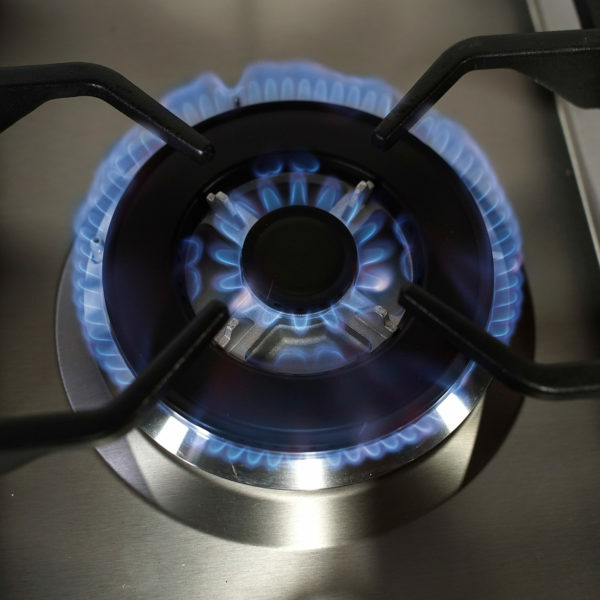 This freestanding gas range features 5 high performance gas burners from 18,000 BTU to 5,000 BTU which allow you to cook from a high heat for boiling, frying or searing to a low simmer for the most delicate sauces. The removable backsplash gives it the versatility to be used as a freestanding or slide-in range. 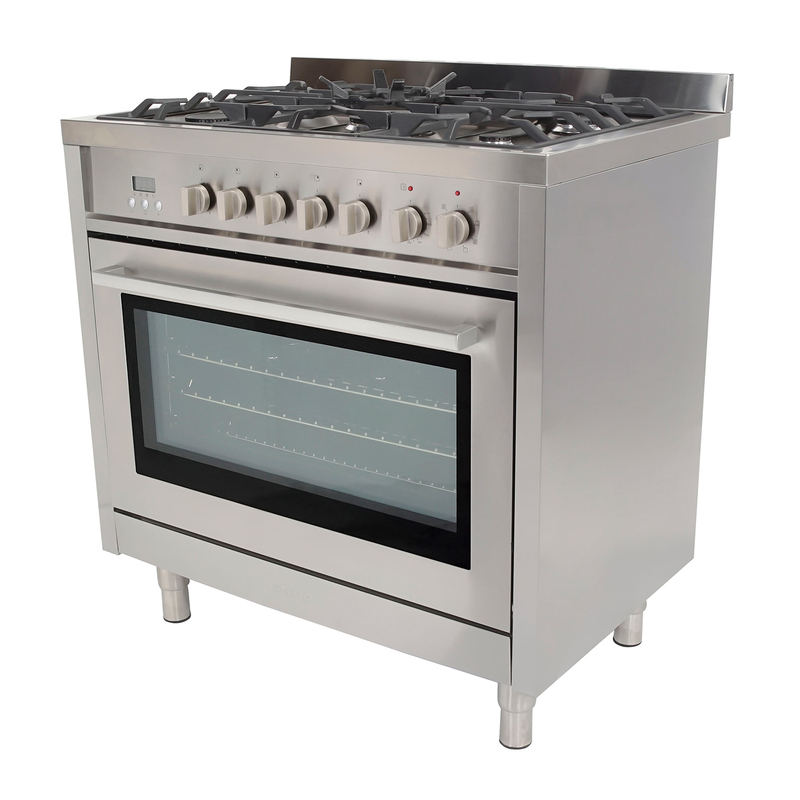 With its classic stainless steel body and solid metal knobs this dual fuel appliance is designed to perform as well as it looks. 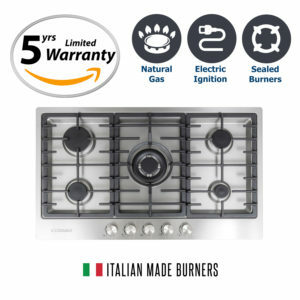 8,500 BTU burners for medium to high heat cooking. 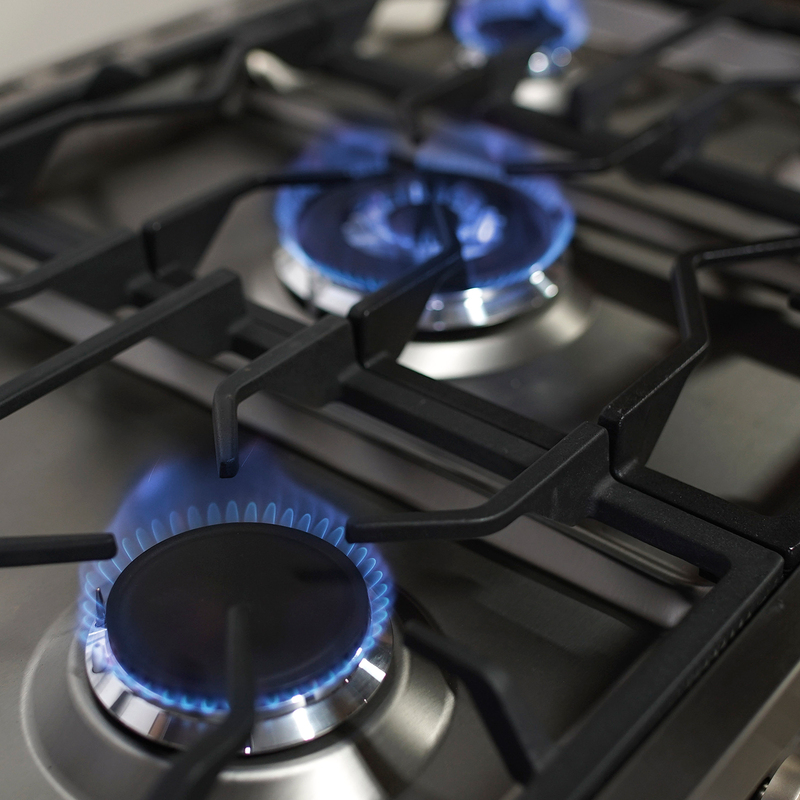 Twin 7,000 BTU Semi-rapid burners for medium to lower heat. 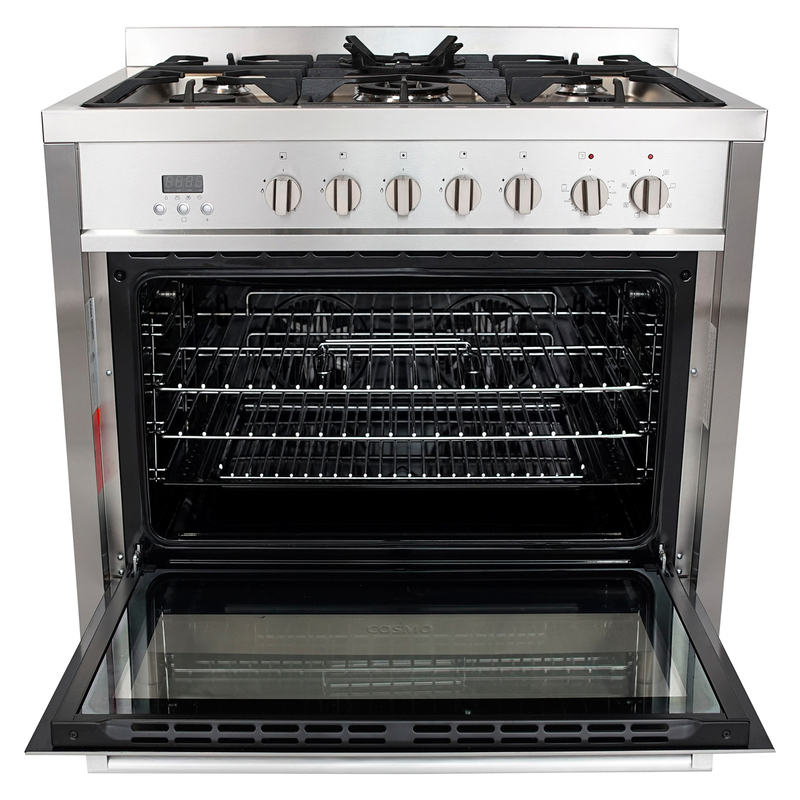 2900 Watt Broil Oven Element for grilling or browning food. 1800 Watt Bake Oven Element for slow and steady cooking. This dual fuel oven is exactly like my previous Cosmo Gas Range (COS-965AGF) but with an electric convection oven. 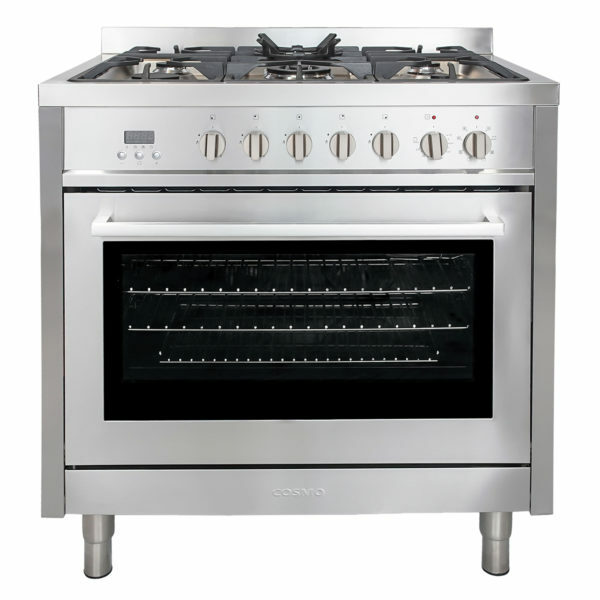 I am very happy with my Premium Appliances purchase the price and quality of the range is outstanding.